This entry was posted in *Location, Belper & Mid-Derbyshire, Climate Change, Derby, Derbyshire County, East Midlands, Education, Elections, Environment, Political Reform, Youth and tagged Belper, Belper Town Council elections, Bulls Head, East Midlands, Mid Derbyshire, Mid Derbyshire Green Party, Mid Derbyshire Greens. Bookmark the permalink. 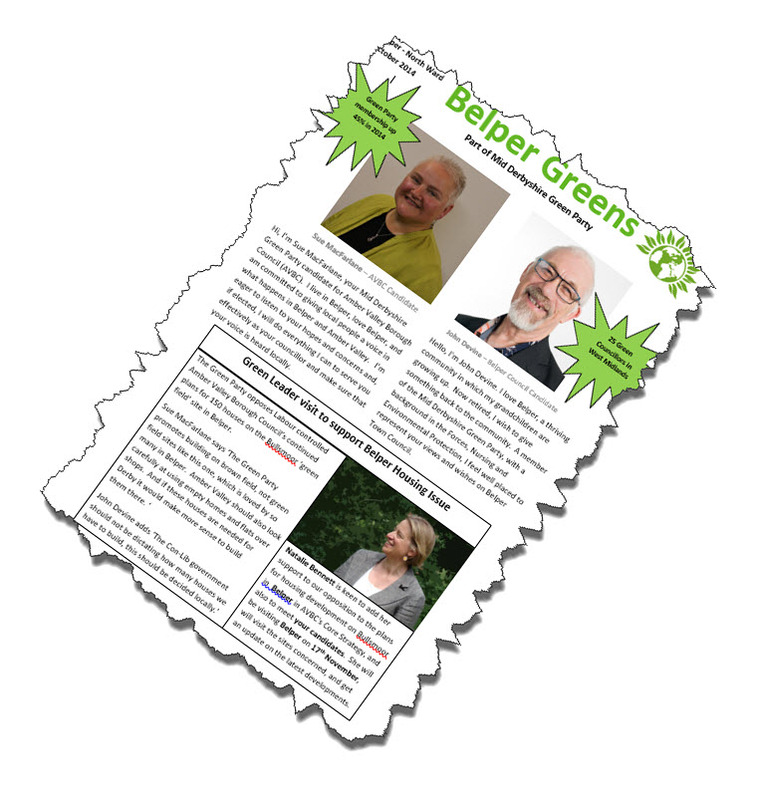 I joined the Green Party in the summer and have realised I’m not in the loop locally somehow! I didn’t know about Natalie Bennet’s visit to No 28 in Belper (where I live) . I would definitely have gone if I’d known. I guess it will all become clear, but I thought I would try to make contact here too! Hope to catch up – it all seems a bit complex meantime!